BENT OBJECTS: Conversation Hearts (A terrible tasting candys' horrific origins). Conversation Hearts (A terrible tasting candys' horrific origins). 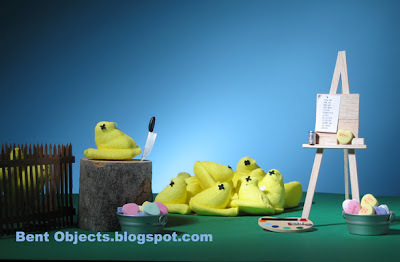 No Peeps Were Harmed In the Making of This Image (I waited until they all died of natural causes).